Emmanuel College is a four year, fully-accredited, liberal arts institution which strives to prepare students to integrate faith in learning and living. Founded in 1919, the school has grown into a thriving, multi-denominational college with more than 30 majors. In 2012, a new athletic center was constructed on the campus to serve the growing student population. It also offers community memberships for fitness and recreational needs. The 78,000 sq. 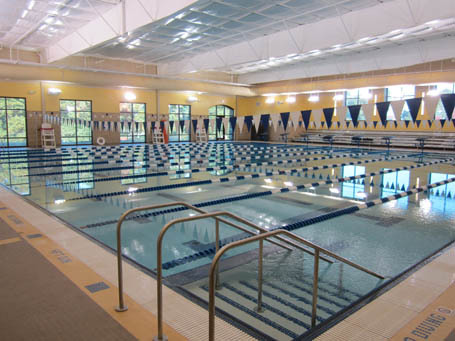 ft. athletic center includes an aquatic center with a 25-yard competition pool with nine lanes in each direction and seating for 150 spectators. Other amenities include a basketball arena with seating for 1,200, a volleyball arena with seating for 300, a 4,000 sq. ft. wellness center, a 1,600 sq. ft. sports rehabilitation center, a bowling alley and an indoor track. With a diverse residential community and a vibrant campus and spiritual life, Emmanuel College is truly a place where students learn to integrate faith in learning and living.